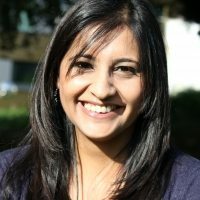 Shaheen Akhtar has a background in the sciences having a degree in Biosciences and completed an MSc in Population Health in 2012.She has worked extensively in community settings across a range of organisations. She has a background in Health and Welfare Rights having worked for a variety of charitable organisations representing disabled children and their families. Prior to starting work at BiB she worked as a Project Support Officer enabling and supporting organisations to secure funding and develop their services by engaging with local communities. Shaheen has worked for Born in Bradford since 2006, starting off working in a project development role. Since then Shaheen has been working in the project office managing the administration team and most recently taken up her post as Programme Trials Co-ordinator for the HAPPY and PIP trials.